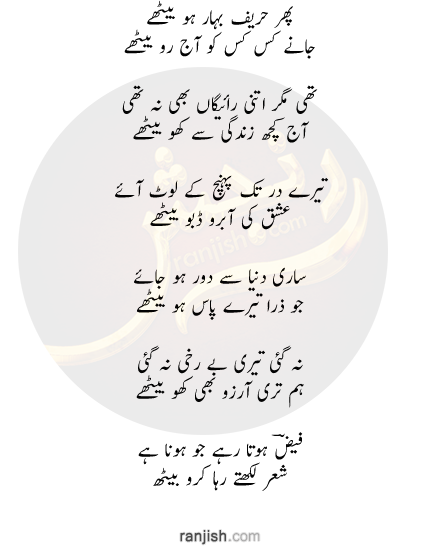 Ranjish.com has lots of Urdu Faiz Ahmad Faiz Poetry. 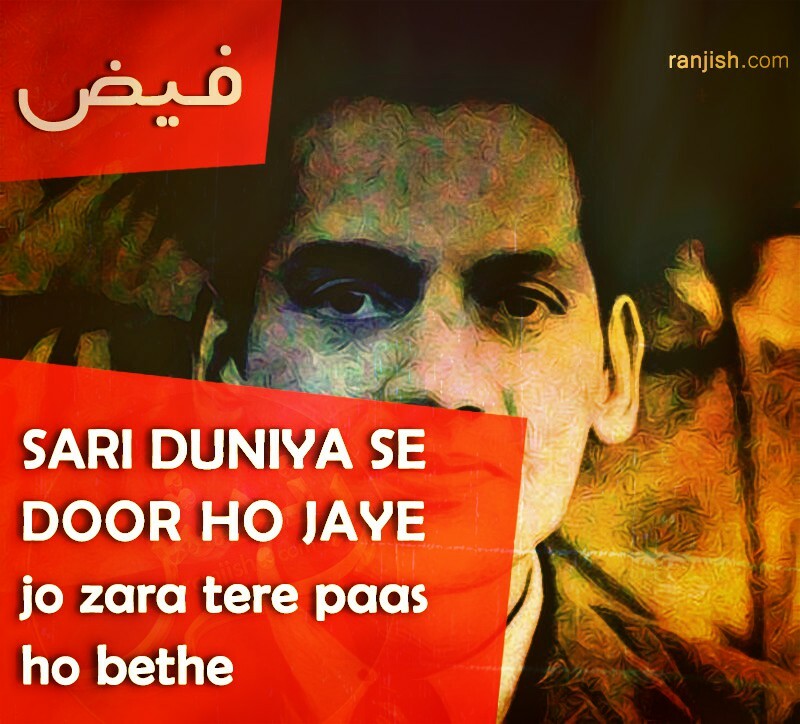 Feel free to add your own Faiz Ahmad Faiz Shayari here. 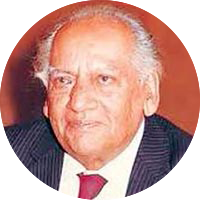 Faiz Ahmad Faiz (فیض احمد فیض) was an influential intellectual and a revolutionary poet. His poetry has been translated in to several languages including English and Russian. Faiz Ahmed Faiz also appeared in some tv shows. He published eight books and all of them were sold in huge numbers. Faiz Ahmad Faiz also worked for British Indian Army but later submitted his resignation in 1947. He died in 1984, but still remains in the hearts of literature admirers. 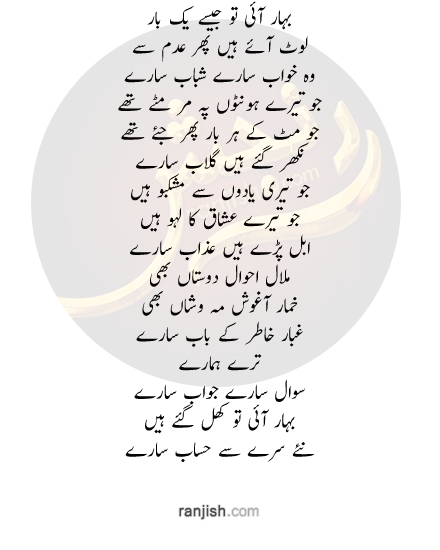 Ranjish.com is the best place to read all Faiz Ahmad Faiz Poetry. 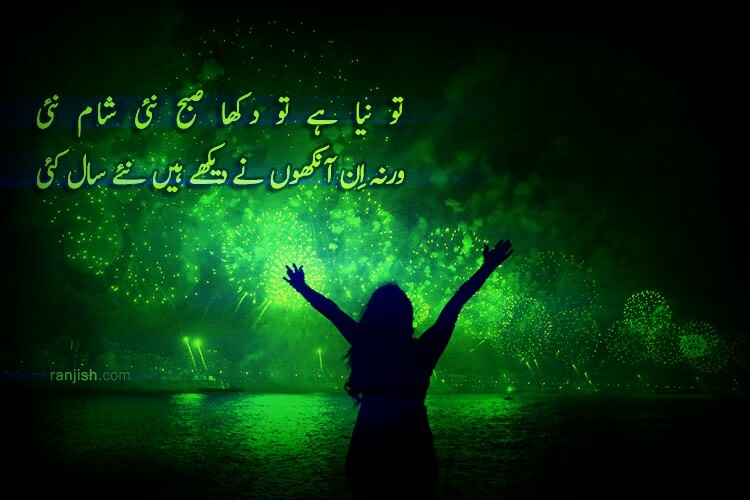 Nahin nigah main manzil to justuju hi sahi..
Nahin visaal muyassar to arzuu hi sahi..
Ik tarz-e-taghaful hai so woh un ko mubarak..
Ik arz-e-tamanna hai so hum karte rahen ge..
Waqt-e-sarod dard ka hangaam hi to hai..
Tu naya hai to dikha subh nayi, shaam nayi..
Aap ki yaad aati rahi raat bhar..
Ik tamanna sataati rahi raat bhar..
We update our poetry database on daily basis so keep coming back for more Faiz Ahmad Faiz.